Why is the heading showing up as a white box? 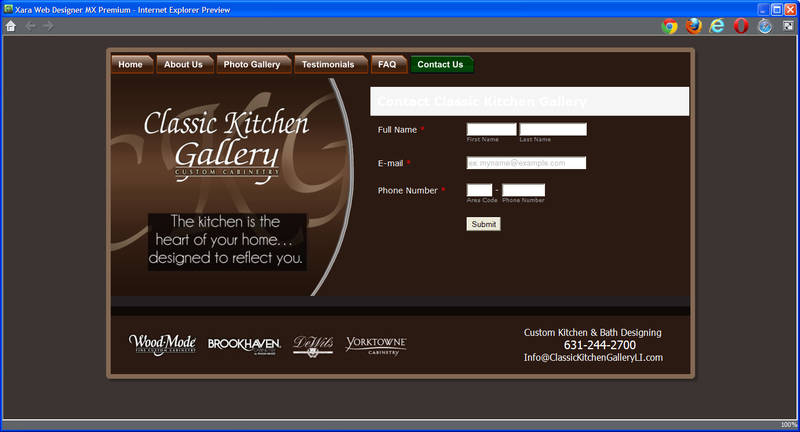 The heading should say "Contact Classic Kitchen Gallery" in white lettering on a brown background just like the three other labels on the form. Do you mind if I ask your website URL were you embed your form code for further assistance? Your form looks fine in my end and I do see the heading of your form. Please take a look at here for the screenshot of your form. Thanks for taking a look at this for me. I don't know why, but the problem has cleared up on all my browsers.